Parenting Toward the Kingdom: Workshop with Dr. Philip Mamalakis on Child-Rearing and Orthodoxy - Holy Cross Orthodox Church has not. 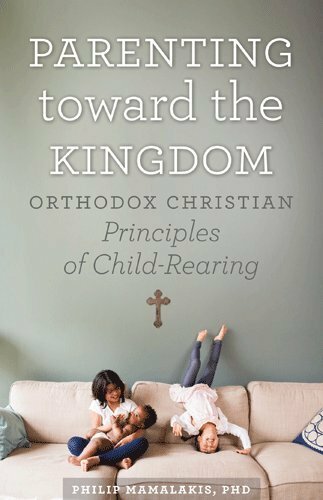 Dr. Philip Mamalakis will be presenting Parenting Toward the Kingdom: Workshop on Child-Rearing and Orthodoxy on Saturday, May 13 from 9:00–3:00pm. Registration is $25 per person, 2nd member of couple is an additional $5. Scholarship aid and babysitting is available. Dr. Philip Mamalakis, with his wife Georgia and seven children, lives in Boston, Massachusetts, where he is the Assistant Professor of Pastoral Care at Holy Cross Greek Orthodox School of Theology. Dr. Mamalakis directs the field education program and teaches classes on pastoral care, marriage and family, grief, death and dying, and topics related to pastoral counseling. He has a private practice in Newton, Massachusetts, where he works with individuals, couples, and families. Dr. Mamalakis has an M.Div. from Holy Cross and a Ph.D. from Purdue University in child development and family studies, specializing in marriage and family therapy. He has been offering parenting courses and writing on parenting for 21 years. He enjoys leading seminars and retreats on intimacy, relationships, marriage, parenting, and family life as well as on Orthodoxy and psychology.